There are still seats available for floodplain management courses at EMI that have been pre-approved for Continuing Education Credits (CECs) for CFMs. EMI courses are offered at the beautiful Emmitsburg, MD campus. If you are a state, local, or tribal government employee you may attend the training for FREE with all expenses covered except meals (meal tickets approx. $110/week). This advanced floodplain management course is a dynamic and interactive course covering National Flood Insurance Program Floodplain Rules and Regulations in Depth, Local Floodplain Manager Roles and Responsibilities, Letters of Map Change and Preparing for Post-Disaster Responsibilities. Each topic is designed to be discussed and reviewed in detail. Describe activities and programs that can be used to promote planning and mitigation measures in the floodplain.Identify National Flood Insurance Program (NFIP) requirements for structures, floodway and encroachment standards, common problems encountered during the construction of various building types, and ways to address these problems. Describe NFIP requirements that apply to approximate A zones, agricultural and accessory structures, fuel tanks, and recreational vehicles. Explain the basic purpose and procedures of Letters of Map Change (LOMCs) and describe the role of the local official. Evaluate the floodplain management implications of LOMCs. Describe the elements of pre-disaster planning needed to prepare for substantial damage operations, Identify contents of Standard Operating Procedure (SOP) for post-disaster operations. Outline steps to carry out substantial damage responsibilities and describe methods to obtain compliance with substantial damage determinations. List possible sources of funding to assist with substantial damage losses. RecommendedPrerequisites: Participants should have completed E273, Managing Floodplain Development through the National Flood Insurance Program (NFIP). 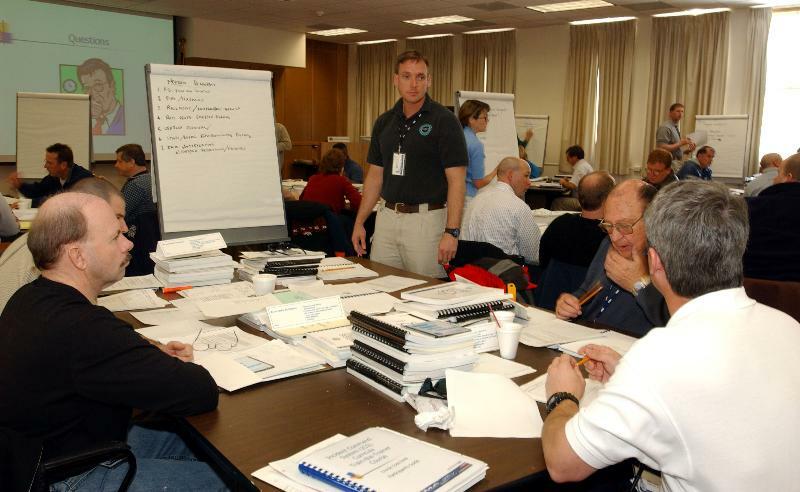 FEMA's Emergency Management Institute (EMI) offers a diverse selection of more than 400 floodplain and emergency management courses available to Local, State, Tribal floodplain and emergency managers, Federal partners, volunteer organizations and first responders from across the country.